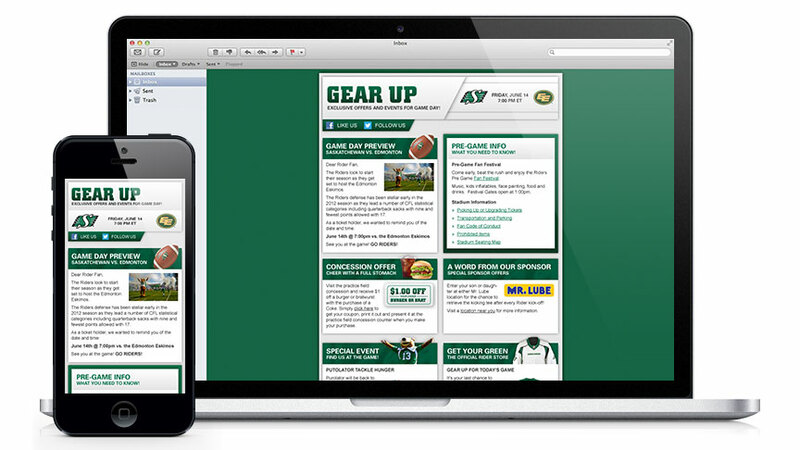 Working with Massif Creative Inc. and the direct marketing team at Traction on Demand, I assisted in the creation of a series of email templates for the start of the 2013 CFL Season. These templates included a monthly newsletter, a pre-game "Game Day" email, and a promotional eStore email. 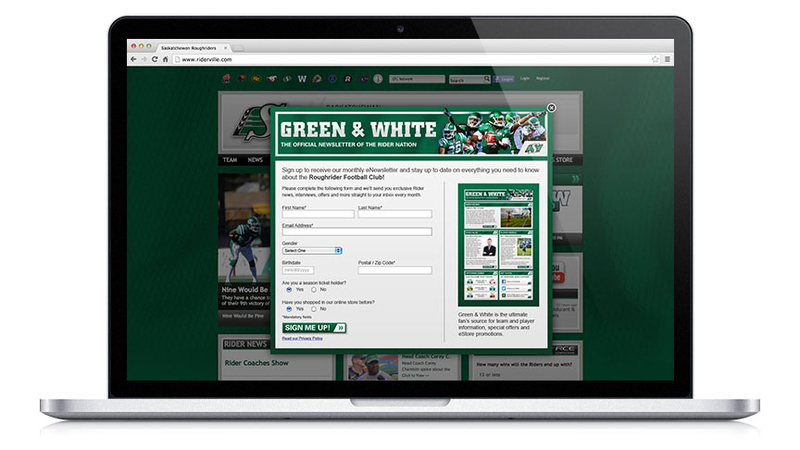 The brief was to create three distinctive email templates within the Saskatchewan Roughriders brand to engage existing and potential fans. Designs were created to be responsive for both desktop and mobile viewing.